If you have daily macronutrient targets – let us know! Maintaining a consistently active lifestyle requires a lot of dedication. Add in the meal prep, grocery shopping, cooking, cleaning and calculations it takes to “eat clean” and it very quickly becomes a full-time job! You can’t outsource the time you need to spend working out, but you can certainly save a lot of time, mental energy and money by outsourcing your meal preparation. Hundreds of athletes, competitors and busy professionals trust NutriFit’s prepared meal delivery service to supply the premade meals they need to hit the goals they work so hard for. Whether you’re looking for bodybuilding meals for bulking up, ketogenic meals to trim down, or simply the convenience of prepared meals that meet your tastes and health goals – your meal plan is tailored specifically to you. Whether I am trying to get lean or build muscle the food is personally customized, delicious, and best of all it is delivered to my door. That is why I not only recommend NutriFit to all my clients and friends, but I also eat NutriFit meals daily. Choose a menu plan and select any special dietary requirements below to view a sample menu. Manage your meals, delivery times and give feedback to your meals to help us learn what you like and dislike. All produce is sustainable! Organic (from our own farm) or locally sourced, 100% Non-GMO. Grass fed, antibiotic free, and hormone free. 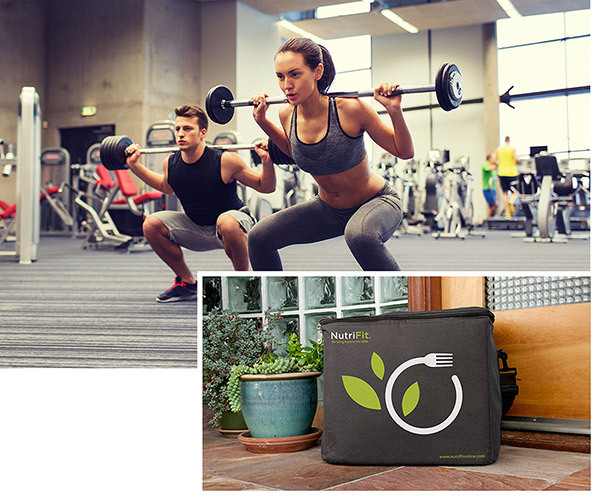 How does the NutriFit® meal service work? We start be learning your health goals and any specific dietary requirements. Your ideal meal plan is then calculated, with meals being selected from our database of over 2,500 recipes. Meals will be delivered to your home or office, or they can be picked up at our west Los Angeles facility. Using our online member’s platform, you can give feedback on each meal, including making substitutions or even changes to your delivery schedule (for example, skipping days if you will be out of town). How often and when will my meals be delivered? We deliver your meals in the early morning hours of Mondays, Wednesdays and Fridays in iced cooler bags. Monday deliveries include Monday and Tuesday meals. Wednesday includes Wednesday and Thursday meals. Friday includes Friday, Saturday, and Sunday meals. We do offer daily delivery during the week to most areas for a nominal delivery charge. All meals are delivered freshly prepared just hours before delivery to your doorstep – never frozen! How much does this meal plan cost? Since your meal plan will be customized to your specific needs, it is best to utilize our Tailor A Plan process to help us recommend the correct plan & pricing for you. How are my calories & macros determined? Do I need to order breakfast, lunch and dinner 7 days a week? No, you may select any schedule of meals that fits your needs. We can help you find the optimal plan for you. Can I see if I like the meals before making a commitment? Absolutely, try us for one delivery at our standard rate before deciding on the type of service you desire. 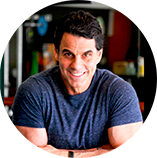 “I have been eating NutriFit® meals for over 20 years, and in addition to being healthy and nutritious, they really help get me through the day. As a former Olympic athlete myself, my hectic daily schedule. leaves no time for preparing meals or going out to a restaurant, Having NutriFit’s Sports Specific Strength Meal Plan offers a lot of variety and just what I need – specifically catered to my likes and needs. I have referred a lot of my clients to NutriFit® and they are all extremely happy with the service. I have also had the opportunity and pleasure to visit their kitchen, which is immaculately clean, as good as any Michelin star restaurant. Jon Jon Park, one of the top tier trainers in Los Angeles, is the owner of Legacy Gym. 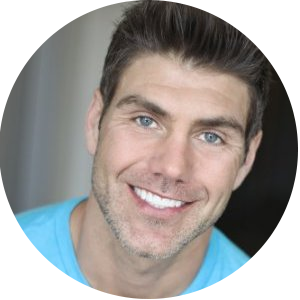 A former Olympic swimmer, champion body builder and dedicated fitness professional. Jon Jon is the son of legendary body builder Reg Park, a three time Mr. Universe and mentor to Arnold Schwarzenegger.